Guest Editorial: Black America - A State of Emergency Without Urgency by Dr. Ron Daniels | BlackRadioIsBack.com - Official Blog of the Syndicated FuseBox Radio Broadcast! I have participated in several meetings and events lately which have led me to the disturbing conclusion that there is little urgency, spark, movement to protest, counter or overcome the “State of Emergency” in the urban centers of Black America. There is an awareness that large numbers of Black people are suffering, but that awareness appears not to have provoked a common, coordinated and effective response from Black leaders and organizations or an uprising from the masses. It is a source of great concern because if we are incapable or unwilling to mount an offensive to combat the condition of the least among us, we cannot count on empathy and support from others. The key to the rescue of our communities is in our hands -- but only if we have a sense of urgency and the collective will to mobilize/organize/fight to uplift our people. I recently wrote about my exhilarating experience at George Fraser’s Power Networking Conference in Atlanta. Thousands of Black business and professional leaders gathered to share information, expertise and skills related to the mission of economic empowerment. It was an awesome gathering, but it received little media attention, so it is unlikely that vast numbers of Black people from around the country heard about it. The next week, I attended Rev. Jesse Jackson’s Rainbow/PUSH Convention in Chicago which commemorated the 50th Anniversary of the dramatic sit-in by four students at a lunch counter in Greensboro, NC; an event which helped to spark the civil rights revolt of the 60’s. It was a well attended Conference, loaded with valuable information. Time and time again Rev. Jackson used the term “State of Emergency” to describe the multiple crises currently afflicting Black communities. And, he unveiled initiatives designed to compel corporate America to reinvest in Black America as a strategy to overcome persistent economic underdevelopment affecting our people. One of the most poignant moments at the Conference was when Congresswoman Maxine Waters angrily denounced an Editorial in the Wall Street Journal that called on the Senate to eliminate an amendment to financial reform legislation that would provide greater access to procurement of contracts by women and minority businesses. Congresswoman Waters, who sponsored the amendment in the House, urged the participants to act immediately to block the machinations of the Wall Street lobbyists. Frankly, I wondered whether the NAACP, Urban League, National Action Network or radio talk show hosts were even aware of the amendment, let alone the effort by Wall Street to eliminate it. Rev. Jackson’s Conference was very impressive, but I came away wondering what was/is the connection between the economic empowerment thrust of Fraser Net and Rainbow/PUSH, particularly in terms of spreading the good news to a broader audience and mobilizing massive numbers of people to confront corporate America to reinvest in Black communities. Equally important, Congresswoman Waters was correct to issue a warning about Wall Street’s effort to marginalize minority and women businesses. However, there was very little media at the Conference and few mechanisms to get the message to Black folks that the bosses and bankers on Wall Street are lobbying against Black interests. June 18th on Capitol Hill in Washington, D.C., the Institute of the Black World 21st Century (IBW) launched the Shirley Chisholm Presidential Accountability Commission to monitor presidential response to issues of concern to Black America. In addition to tributes to Congresswoman Shirley Chisholm by members of the Congressional Black Caucus and CBC Foundation, Inc, the Inaugural meeting of the Commission featured a Symposium entitled Black America: The Economic State of Emergency -- which focused on the growing crisis of unemployment and joblessness in Black communities nationwide. Put another way, are Blacks willing to fight to promote and protect our interests – two Congress Members at different settings calling for action on matters of vital importance to Black people with little response. The last distressing revelation came during our IBW Board meeting following the launch of the Chisholm Commission. It’s about the 2010 Census. 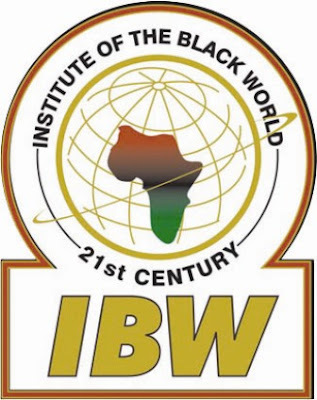 IBW is part of the Unity Diaspora Coalition, under the leadership of Melanie Campbell, President of the National Coalition for Black Civic Participation. The Coalition has worked strenuously to motivate Blacks to sign the Census forms in order to receive a fair share of federal resources. In addition, an accurate count will affect Black political power by maximizing the number of districts that have the potential to elect Blacks to public office. A fair count is the prerequisite to getting a fair share of resources and electoral political power. That message has been hammered home for weeks through various media, community meetings and door to door, person to person contact. The robust effort notwithstanding, veteran social-political activist and strategist Hulbert James reported that Blacks lag significantly behind Whites, Latinos and Asians in responding to the Census – so much so that we may well lose seats in state legislatures and Congress in the coming years. Desperately needed resources may be loss and our electoral political power is in danger of being diluted. There is a State of Emergency in Black America without urgency. As I pen this article, the news is that fifty-three people were shot in Chicago over the weekend, with eight killed. While the crisis in Chicago has captured headlines, the phenomenon of violence and fratricide is a gruesome fact of life in “dark ghettos” across the land. There is a disconnect between an upward mobile Black middle class which has migrated to the outer-city and suburbs and the millions of the less fortunate, the have nots, left behind in neighborhoods where gainful employment has almost vanished. I suspect that the lack of response to the Census is not only due to a distrust of government but a growing disillusionment that Blacks who have been elected to serve in government have not delivered meaningful change. No matter how many radio advertisements proclaim that responding to the Census will bring vitally needed resources to the community, large numbers of Black people just don’t believe the hype. Moreover, there is an absence of a culture of participation in our community. There is no sustained effort by faith, civic, labor, political and community based leaders to engage residents in discussions about the nature of the crises they face and what agenda of issues, initiatives and programs community people believe will result in significant change. Young Black men, the source of much of the violence, fratricide and incarceration in the inner-cities are among the least engaged in the struggle to transform distressed communities. In the meantime, our national organizations and leaders are not only disconnected from the most disadvantaged neighborhoods, the places where the “emergency” exists, they are not sufficiently connected to each other. While there is collaboration between Marc Morial, President of the National Urban League, Benjamin Jealous, President of the NAACP and Rev. Al Sharpton, President of the National Action Network (NAN), it appears to lack a compelling common thrust calculated to galvanize Blacks from every strata to combat the State of Emergency. And, unfortunately, there are even rivalries, quiet and not so quiet competition for the position of premier leader/paramount chief of Black America – a sport that the media contributes to and feeds on as it anoints and abandons Black leaders at will. There were very few cameras and news media at Rev. Jackson’s Rainbow/PUSH Convention because he has been relegated to irrelevancy by the pundits (and some in Black America) despite the extraordinary substance of his work. In contrast, the media was all over Rev. Al Sharpton’s National Action Network Convention, providing wire to wire coverage. Rev. Sharpton has certainly emerged as one of Black America’s foremost leaders in his own right, but it is also clear that the establishment media now favors him as the leadership flavor of the moment. The Honorable Minister Louis Farrakhan, the only leader that has mobilized millions to march on the nation’s capital, is barely mentioned in the media at all except in efforts to brand him as a problem or pariah. What we urgently need is consistent communication, collaboration and coordination among our national leaders, organizations, institutions and initiatives -- a united front where individual and organizational egos are set aside in order to mobilize a massive response to the State of Emergency. We must work to devise vehicles and practices to overcome the “disconnects” identified above in order to actualize our potential power. The mobilization must also include those who are most affected by the State of Emergency. A concerted effort must be made to identify and engage grassroots/community based leaders from across the country, particularly young people and leaders of the hip hop generation. Finally, if we are serious about combating the State of Emergency in Black America, it cannot be demonstrations, marches and rallies as usual. As Congressman John Lewis eloquently puts it, we urgently need a movement that “gets in the way.” The Greensboro four got in the way when they sat in at the lunch counter. If the locked out and left out are in a State of Emergency then it will take dramatic steps to bring attention to their plight. We urgently need to utilize strikes, boycotts, civil disobedience, disruption; we have to “get in the way” if we expect the government and corporate America to take us seriously. When those who feel abandoned in the inner-cities witness leaders and followers speaking truth to power and confronting the powers that be, perhaps the fratricide and violence will subside because a real movement for change will engender hope that a better future is possible. If there is a sense of urgency about the State of Emergency in Black America, our brothers and sisters imprisoned in America’s dark ghettos who are turning on each other will turn to each other and join the fight to transform their lives and our communities! Dr. Ron Daniels is President of the Institute of the Black World 21st Century and Distinguished Lecturer at York College City University of New York. His articles and essays also appear on the IBW website http://www.IBW21.org and http://www.NorthStarNews.com. To send a message, arrange media interviews or speaking engagements, Dr. Daniels can be reached via email at info@ibw21.org.